As we are deeper into the winter, indoor heating is up, our skin getting drier. I have been trying out two famous night facial oils at the moment. They both get high praise from beauty bloggers, but before I tried them, I always wonder which one should I get or is it worth to get both? I am not a skincare expert, but having been using both oils in the past weeks, I want to share my views on each of them. 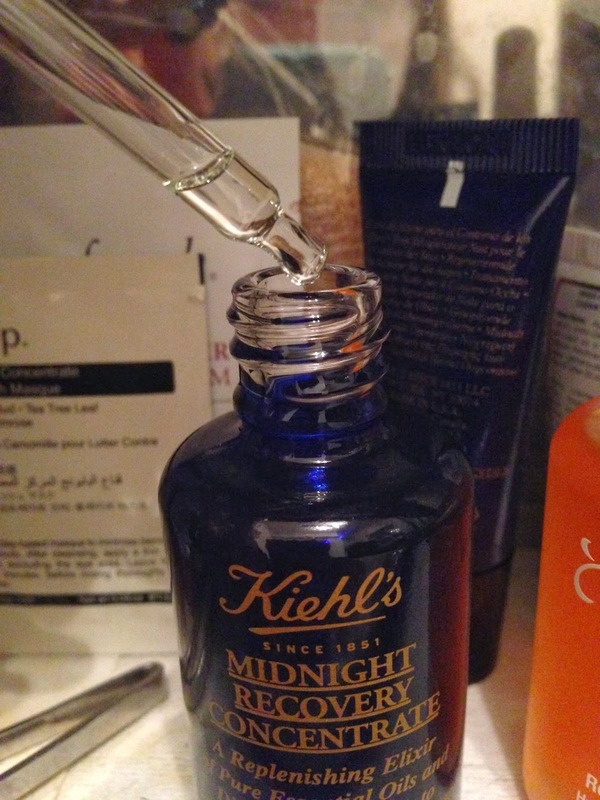 I bought the Kiehl's Midnight Recovery Concentrate at the Lily & Anna special meetup event. There was a special 20% discount on the night so I decided it was the best deal. I have been using this oil since, and I have mentioned it already in my Sleeping Aid post (here). I really like this oil. It is hydrating but not greasy. It smells wonderful! A soothing scent of lavender, but not too powerful. It made me want to massage my face over and over, it is SO soothing. I put it on at night before I go to bed, just use it alone. When I wake up in the morning, my face is hydrated and plumped. The dryness around my eyes seem to have improved too! 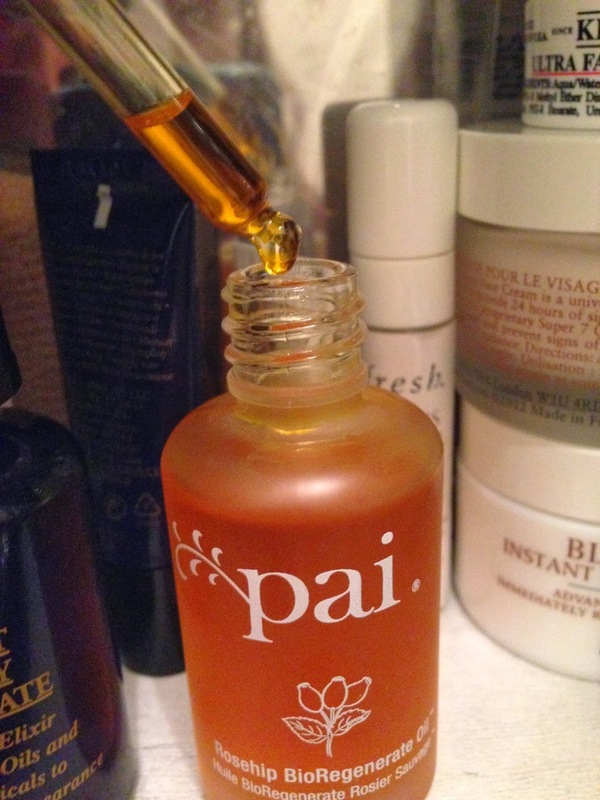 I bought the Pai Rosehip Biogenerate oil after reading the blog post on Ruth's website (here) and to take advantage of the free hand cream offer. I have read lots of reviews about this oil before, particularly how it will magically sort out troubled skin. My skin wasn't too good recently, it kept breaking out because of the change of weather, so this oil suited the bill perfectly. Tho it is called "rosehip", don't expect this to smell like a rose perfume. The smell is actually not bad, it has a hint of bitterness to it,which I quite like, definitely make you think medicinal. The texture is a touch thicker than the Kiehl's oil, but again, it is not greasy. Two to three drops will be more than enough for the entire face. When I wake up the next morning, my skin feels hydrated and supple. However, my blemishes didn't go away or died down as I hope, they stayed the same, so I was a little disappointed. So the big question is: which one to buy? I would say, if you are looking for an all-round oil to use all over face every night, definitely the Kiehl's one, and I found that the result is obvious and you can see visible improvement to the skin. The Pai oil is more suited for targeted areas, rather than as an all over face everyday oil. Rose/Rosehip oil doesn't seem to be as effective on my skin, but may be it is just me. 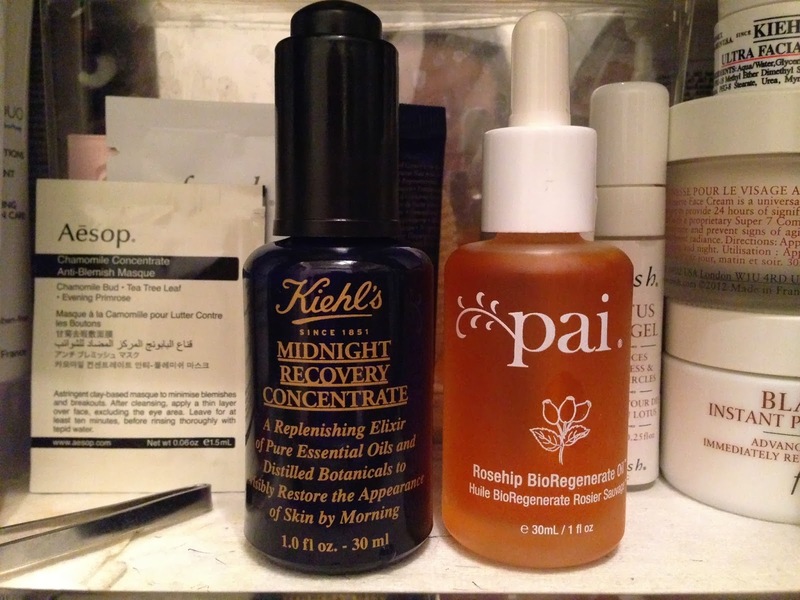 I highly recommend the Kiehl's oil, and I will re-purchase when I finish my bottle. I hope you find this helpful ! Let me know if you have used any of them before and what you think of them!